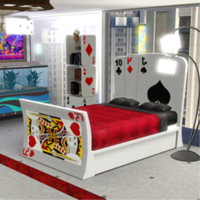 The Gold Edition of The Sims 3 Lucky Palms combines The Lucky Palms World and The Lucky Simoleon Casino Venue to create the ultimate lucky combination! With ample parks, recreation opportunities, and a thriving culinary scene, Lucky Palms is an island of green amid shifting sands. 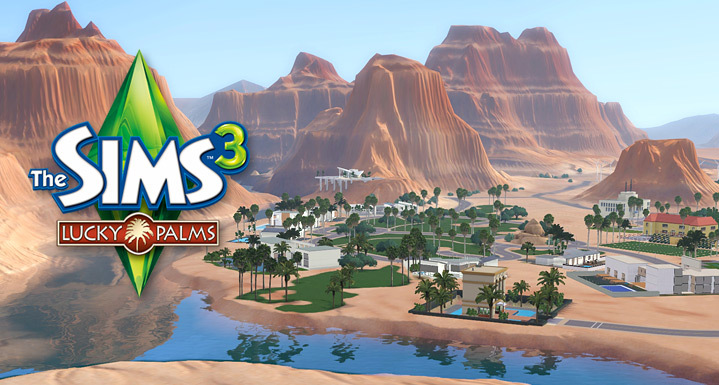 This desert enclave offers manicured gardens, modern estates, and cozy abodes nestled on the banks of a pristine lake. At the heart of town a mysterious well is said to grant wishes to those who are pure of heart….what will you wish for? 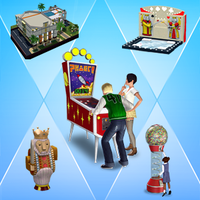 - The standard edition of The Sims 3 Lucky Palms including the Wishing Well gameplay object, new items, new locations, and new Sims with brand new stories! 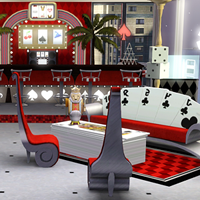 - The Lucky Simoleon Casino venue featuring the Triple Riches Slots O’Jackpots Slot Machine and the Hit ‘em Harder Blackjack Table gameplay objects, plus exciting new items! 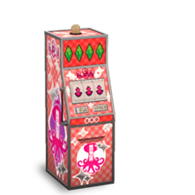 All new Lucky Palms items! 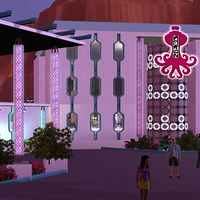 Looking for love in Lucky Palms! Want Kids: With the right woman! 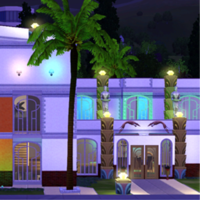 Darren Dreamer here, artist in residence to the fabulous town of Lucky Palms! And by artist I mean REAL artist, not the bumming on my best friends couch hopefuls! I am a single adult male whose interests include painting, computer games, and preparing grilled cheese sandwiches. I don’t really enjoy spending much time outdoors, but I do love painting landscapes! Something I love about our town of Lucky Palms is how many unique and beautiful things there are to paint. Whether it’s the rich orange and reds of the mountains, the desert green on the skin of the cactus, or the rising sun’s reflection on the surface of the lake our surroundings are bursting with natural beauty and vibrant color! The Blooming Cactus Bistro offers the best views of the city at sunset and my place to grab a bite and a bit of inspiration. Are you looking to be inspired? If so, you can find me at 59 Gobi Road. I look forward to meeting you! 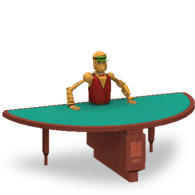 Complement your Lucky Palms experience with these amazing sets.